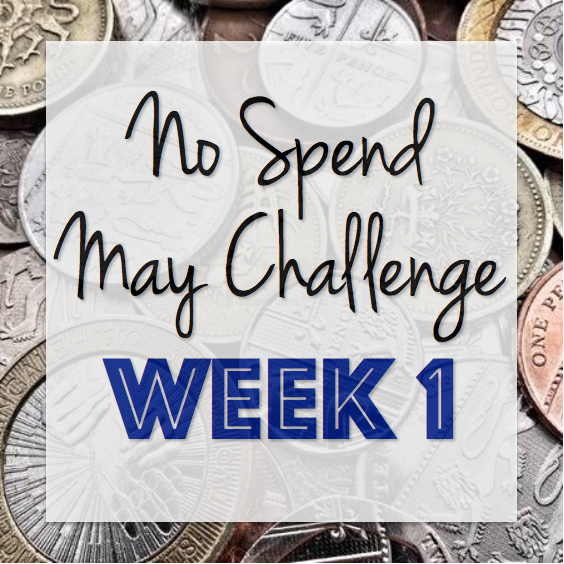 This is the first update on our No Spend May, which is really only a 5 day update due to the 1st May being on a Monday! So, lets get down to the nitty gritty and see what we actually spend this week that wasn't a necessity. Yikes, that is a large expenditure for a month where we shouldn't be spending! Let me expand, because I promise it's not as bad as it looks! I mentioned in the initial post that Sam and I put away savings every month, and whilst we'd like not to have to touch these, we sometimes have to dip into them for unexpected disasters. My car was one of those disasters this week. On Monday morning, I went to drive to work and found that my car battery was competently flat and wouldn't start. Normally, I would just jump it and get it charged that way but the car is old and we knew the battery needed replacing. Therefore, to stop any future issues with getting to work on time or being stranded somewhere I made the decision to replace it. Only 24 hours later, I ended up getting a flat tyre on the way home from work and having to switch out my tyre for the spare in the boot. This resulted in another trip to the garage and two new tyres being fitted - £100 gone! Luckily, these sorts of expenditures come from our savings budget and therefore the issues didn't affect my monthly allowance. The birthday gift was a belated one for a family member, whose birthday was in April. We'd ordered a handmade gift from Etsy and whilst we budgeted for it out of last month's pay check, Paypal did that annoying thing where it doesn't take the money until 14 days later when it can confirm the item has been delivered. Therefore, the money came out of this pay check and we just had to swallow it. Finally, the two unnecessary spends which occurred this week were a hot chocolate from Sam whilst he was waiting for the doctor's surgery to open, and an outdoor cinema ticket from myself for a date in June with my girlfriends. Totally not needed, but really fun! All in all, that brings our actual weekly spend (outside of bills, groceries and other necessaries) to £16.19 between us. I am super proud of that, especially when I see how we haven't suffered in the slightest and aren't missing out on anything in particular. We both made the decision to only carry our debit card with us for emergencies, and left all money and bank cards at home. This meant we were super conscious about what we were buying and what for. We meal prepped for the week ahead which meant we didn't have to spend money on lunches at work and could instead eat a balanced lunch we'd prepared at home. Sam went to a football dinner with his friends, but used some money he was owed for a job to go out. He ate off the meal-deal menu which meant it was super cheap, and it didn't come out of the weekly budget! Check back next Friday for another week's worth of spending, and what we did differently to avoid spending money. I think you're doing a great job cutting back on your spendings! Sometimes things happen to your car and it'll be totally out of your control. I wouldn't beat yourself up for that! Life happens!